As much as you try to safeguard your personal information, you may have made a small mistake by giving your phone number to the wrong entity, and now you're being bombarded with dozens of spam calls every day. To help parse your call log and reject the proper numbers without answering or trudging through voicemail, a good reverse phone lookup app is needed. When your phone number is compromised, it can be more than a little unsettling. For some of us, it's a minor annoyance, but for others, it's a real security concern. Regardless of where you fall on the spectrum, nobody wants to be harassed by an unknown caller, and some peace of mind comes from identifying the other party. 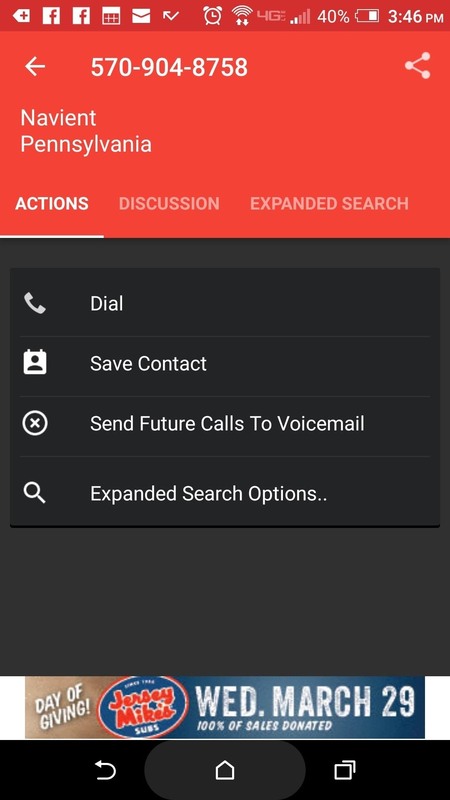 Below, we'll look at the three most functional caller ID apps for your Android smartphone. The TruthFinder app goes far beyond reverse phone number lookup, as it furnishes multiple search options to check the background of just about anyone. It doesn't cost anything to install the application and basic functions are free to use. As this is more than just a reverse phone number app, there are three different tiers of search options. Basic information about a person can be found for free, though more detailed reports are available at a rate of $9.99 each, which would include information such as criminal history and previous addresses, where applicable. But if you just want to find out who called you, head to the Search tab and simply type in their number. From my experience, you will usually uncover a significant amount of information about the individual searched. The backend service scrapes the web to find as much information about the person or business for which the number is registered. After testing several numbers, I found most of the information to be accurate, though birth dates were a bit off. Otherwise, the app will pull known email addresses, social media information, aliases, and even show you a picture pulled from the individual's Facebook page in some cases. 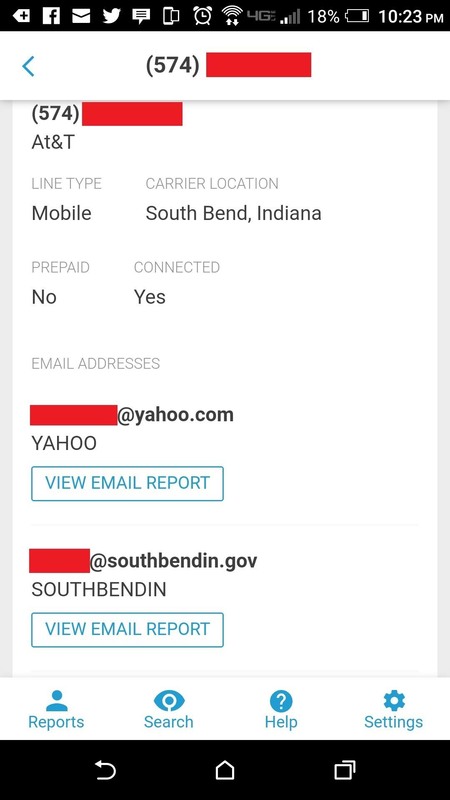 You are limited to 10 free reports for either a phone number or email, so use these wisely — ideally for identifying information about local numbers, not toll-free numbers. The two apps below are more useful for receiving information about calls from telemarketers and integrating with call logs on your device. The Reverse Lookup app from Nomadic Ratio is a simple tool to quickly check phone numbers. The app is free for basic use, however, a premium version is available for $1.99 that integrates caller ID for a more automated experience. 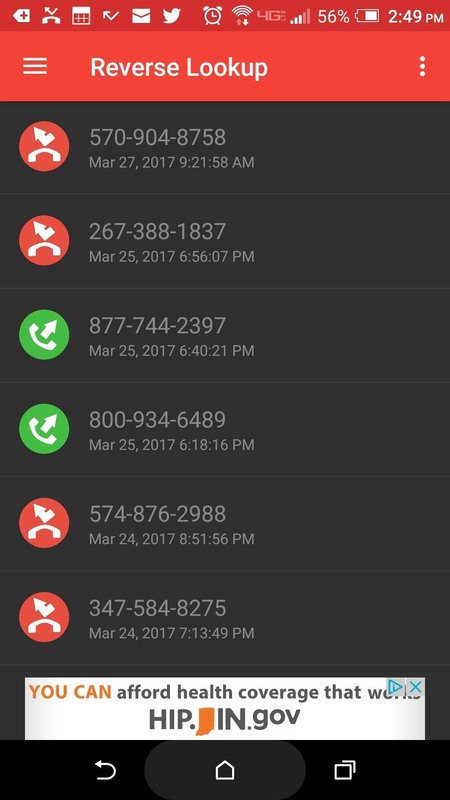 The app pulls in information from your call log and puts it in a list view with different icons indicating incoming or outgoing calls. To see a caller's name, you'll have to select their number from the list — but this list only contains calls from numbers that aren't in your contacts, so they're all unknown callers. After selecting a number, you'll see the person or company's name at the top of the next page. From here, you can head to the Discussion tab to see what other users have to say about the person or company behind this number, which is useful for determining if it's a legitimate caller or just spam. Another neat feature is the ability to share the information to different platforms which is helpful for publicizing harassment situations. 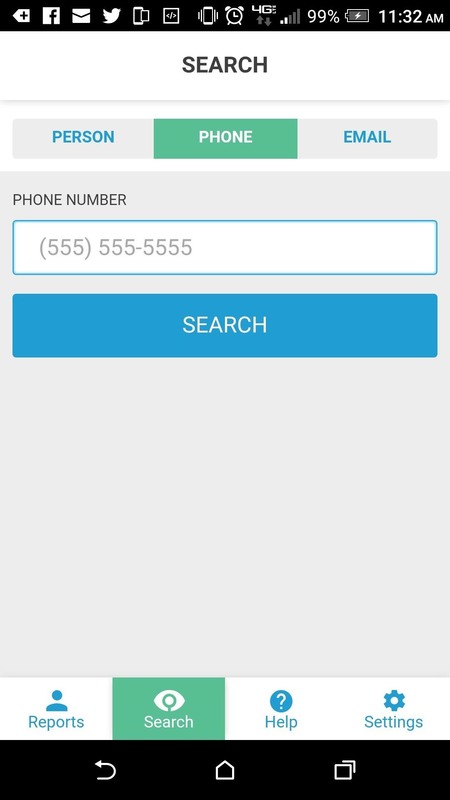 The Whoscall app is a free application for identifying incoming callers that comes packaged with a couple of other features. Though the free version does contain ads, they're minimally invasive and only appear in certain areas of the app or after rejecting a call. Whoscall continually monitors your incoming calls, so you'll see a popup with the identity of a caller as the call is actually coming in. 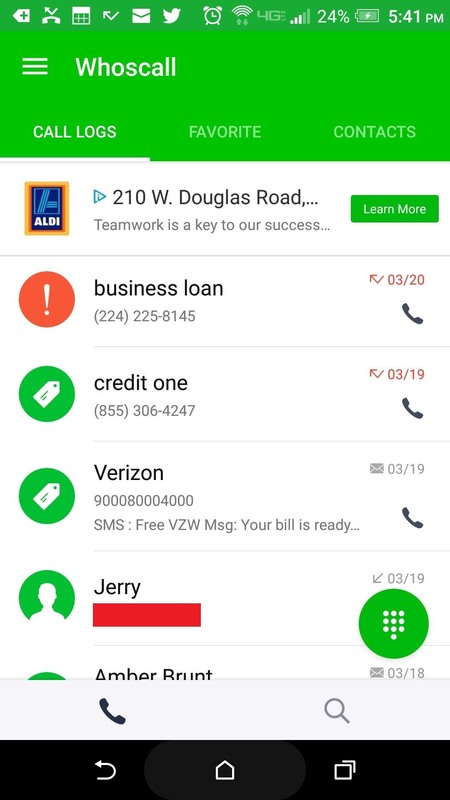 Legitimate calls from either a reputable business or one of your contacts will appear with a green icon attached, while unknown entities will be marked with a gray icon, and notoriously sketchy calls will have a red icon. 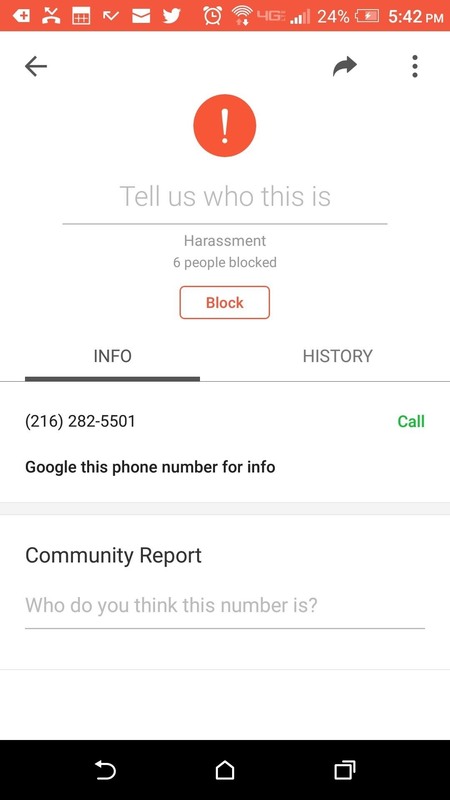 Information for unwanted calls is compiled from user reviews, and this data can be viewed under the "Info" section within the app if you missed the original popup. 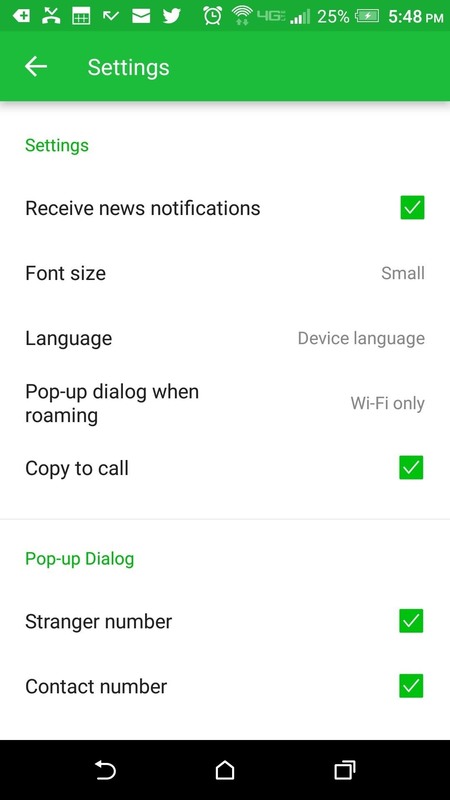 If you head to the app's main settings menu, you can tweak a few features — namely the pop-up dialog that appears when receiving a call. As the service uses an online database to reference incoming numbers, it needs to have an internet connection, which is set to "Wi-Fi only" by default. 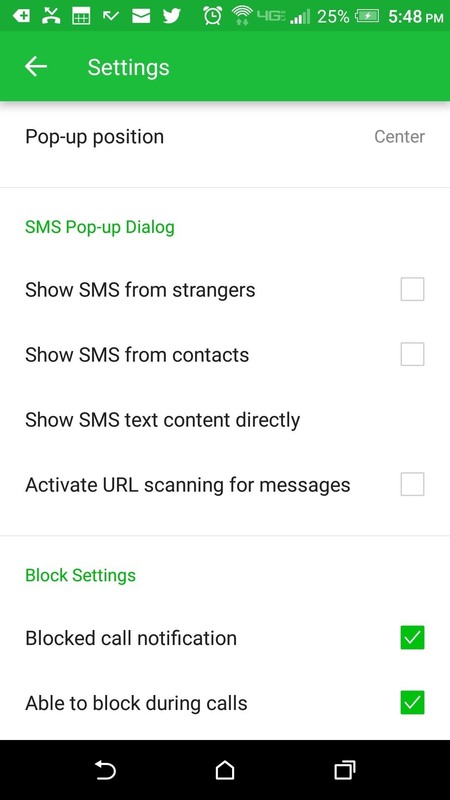 So if you'd like to get these call-screening features while out and about, you'll need to change this option, though note that it will use your monthly mobile data allotment. Beyond that, you can have the app automatically block calls from suspected spam numbers if you'd like. 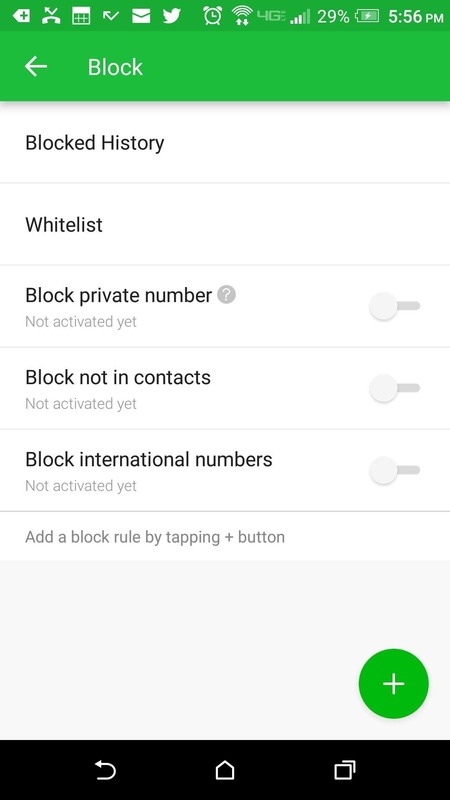 To try that out, open the "Block" menu in settings, then choose from the available options to block calls from private numbers, everyone not in contacts, international numbers, or set up custom rules. Which of these apps did you ultimately go with? Let us know in the comment section below. Please share all the hacks for a nonrooted Samsung Note 5 ,I play a lot of music also ,so anything to increase my music quality and the volume would be great .Btw, I love Gadgethacks!!!!!! Installe all three apps, searched 10 phone numbers on each app. did not pick-up on any of the phone numbers, including my business phone which is well known. Uninstalled all three apps.